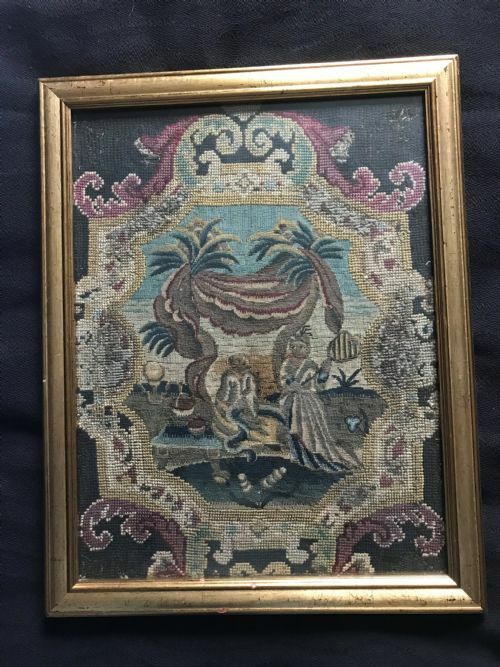 A good quality Georgian needlework, first third of the 18th century, in excellent condition; a rare item. SIZE: 19.5 x 15.5 inches framed. Yorkshire Private Collection since 1996. 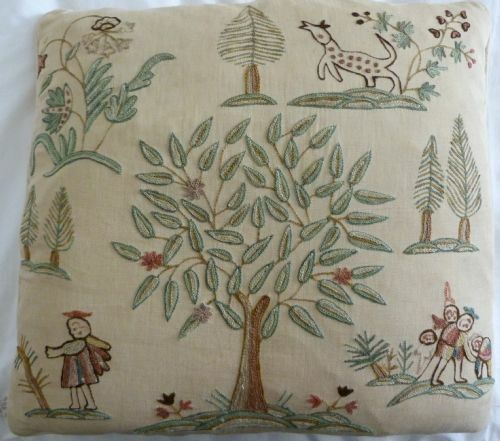 A charming woolwork done in the naive style of a seventeenth century stumpwork, authentic in appearance. Excellent condition, linen backing and feather filling. PROVENANCE: by descent in a Yorkshire family since new. 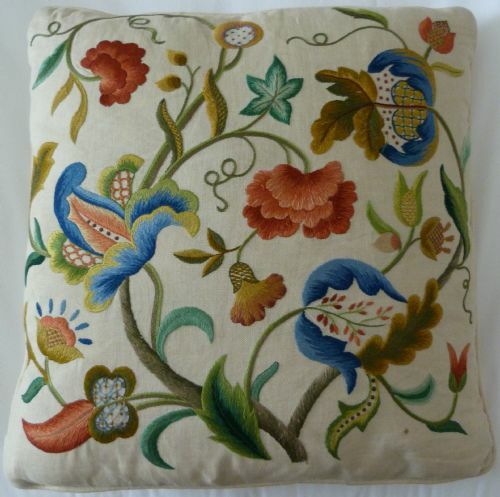 An exquisitely crafted needlework cushion, silk on linen, feather filled. Made almost 100 years ago in the 17th century style the colours are still bright, and represent the Tree of Life. 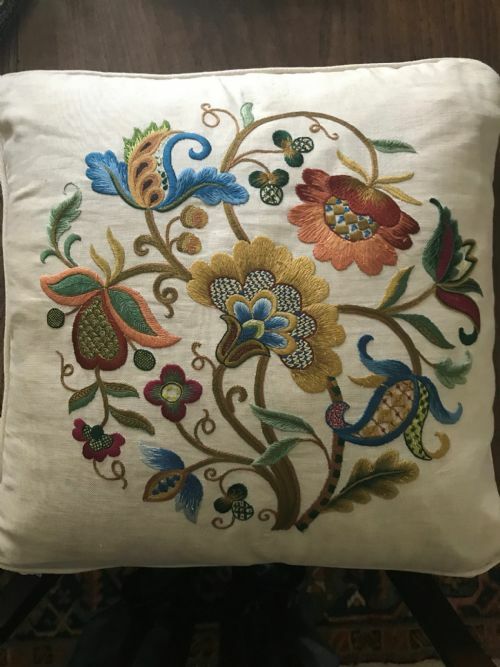 The needlewoman who created this was truly an artist, and one with great patience as well as skill. There are two small repairs to the linen backing. PROVENANCE: One Yorkshire family since created by a member of that family.